This effulgence of flowers is at the bottom of my road in Peckham Rye. They are growing in an area which was once, years ago, a paddling pool for toddlers. Today it may be 30 degrees outside and the pool would be a joy for small people. 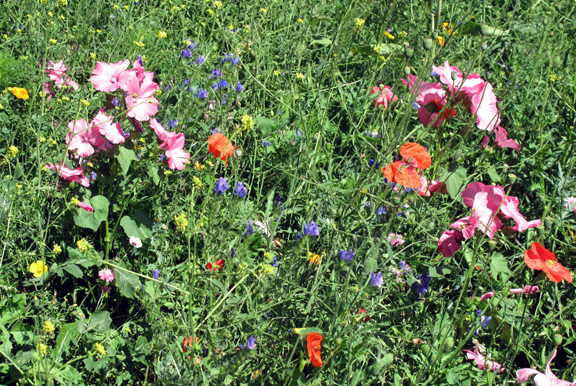 But the sight of a host of wildflowers being courted by bees and butterflies is, surely, a joy for everyone. Big and small. This entry was posted in Nunhead, Peckham, Photography, Poetry, Writing and tagged joy, Peckham Rye, say it with flowers, wildflowers. Bookmark the permalink. Hope you are well and enjoying this wonderful weather.